Christina Hester Snyder is a Certified Financial Planner™ and Wealth Adviser with AspireWealth Planners. Prior to joining Aspire, Christina worked for 15 years as a relationship strategist and senior trust advisor with PNC Wealth Management, assisting high-net worth clients with complex estate, tax and financial planning needs. Christina has more than 20 years of experience in the financial services industry, specializing in trust administration, retirement options, estate planning, insurance and business planning. As a wealth adviser, Christina is dedicated to eliminating her clients’ financial fears by educating them and enhancing their financial intelligence and helping them develop a financial plan that goes far beyond the investment component. Christina believes in a comprehensive approach that addresses all facets of planning, including wealth transfer, insurance, taxes, investments, retirement, risk management and business planning. She works in concert with her clients’ other trusted advisors to synthesize their strategies rather than having them operate in silos. Christina takes pride in delivering proactive and responsive service to her clients, and helping them understand, manage and track their progress toward meeting their financial goals and objectives. Christina graduated from the University of Baltimore with a Bachelor of Science degree in Business with an emphasis in International Business. She earned her Certified IRA Services Professional (CISP) certification in 2011 and her Certified Financial Planner (CFP) designation in 2015. She also holds her Life & Health Insurance licenses, series 7, 66 and series 63. Christina is an active member of the Financial Planning Association (FPA), Baltimore Estate Planning Council (BEPC), the National Association of Estate Planners & Councils, the NAEPC Foundation, the Estate and Gift Tax Study Group and the Baltimore Symphony Orchestra (BSO) Planned Giving Advisory Council. She is a past board member of the Pratt Contemporaries – Enoch Pratt Free Library. 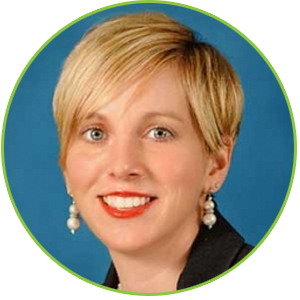 Christina is the current President and past Board Treasurer of the Women in Insurance & Financial Services (WIFS), the Maryland Chapter. WIFS is a national organization whose mission is to attract, develop and advance women in their professional careers. She is a current Board Member and Treasurer of the Starboard Society, a nonprofit that helps Maryland families who are faced with financial hardships. A Board Member of the Life Planning Resources (LPR), a professional association that educates the public on necessary financial and elder care issues. She is also a member of The Collaborative Professionals of Baltimore, a group of interdisciplinary professionals dedicated to promoting the highest degree of service excellence in the field of Collaborative Practice. Collaborative Practice is an out-of-court process for resolving disputes associated with divorce, estates and trusts, pre-nuptial agreements, etc. Christina was part of the 2012 Business Volunteer Maryland GIVE program, a ten-month leadership program that focuses on civic leadership, volunteerism, business involvement, and increasing awareness of the key issues facing our community. From her various acts of civic leadership and community service, Christina has been awarded high praise from a local publication, The Maryland Daily Record, for her personal and professional accomplishments and commitment to inspiring change in the community. AspireWealth Planners is committed to helping people grow and preserve their wealth across generations. Our wide range of services helps ensure individuals, families, and businesses are protected and financially prepared for the future. As life continues to evolve, you can rely on us to provide a variety of financial solutions that are designed to meet your changing needs at every stage. As a firm, we aspire to bring you solutions that meet your needs, services and financial solutions so you can continue to take advantage of all life’s possibilities. Our adviser takes a holistic approach to helping you plan your financial future, and asses your unique needs and goals, before guiding you down a path of success.